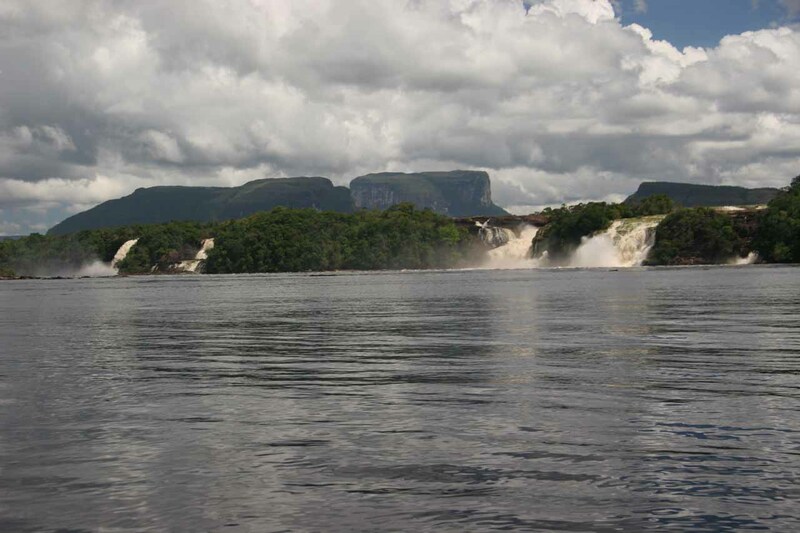 Sapo Falls (Salto El Sapo in Spanish) and Sapito Falls (Salto El Sapito meaning “Little Sapo Falls” in Spanish) were waterfalls tumbling into a lagoon that seemed to be a separate from the larger Canaima Lagoon. 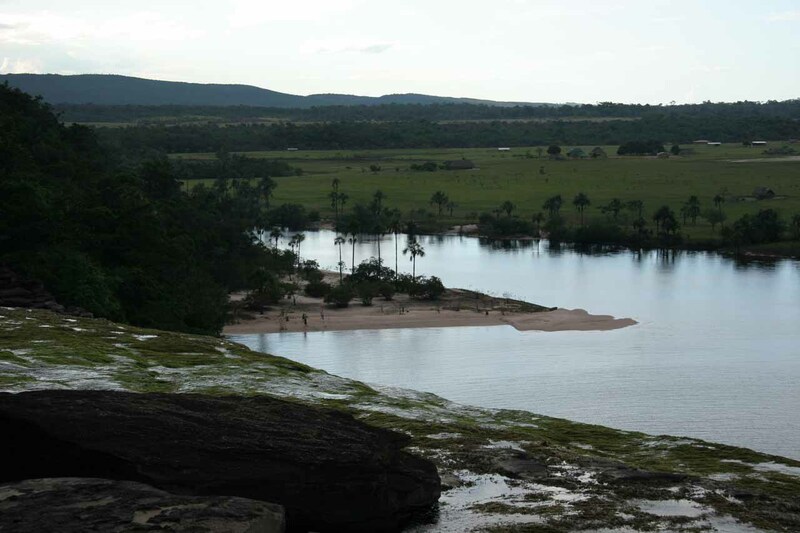 Even though it also seemed to be on the Carrao River (El Río Carrao), this lagoon felt a bit more secluded and smaller. The larger waterfall (see photo at the top of this page) was interesting in that it allowed us to see and feel the falls from its backside. As a matter of fact, the trail itself passed right behind the waterfall as we went from one end of the wide waterfall to its other end. 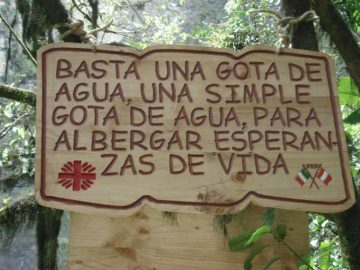 I understand that the trail for this waterfall was in large part thanks to the work of Tomás Bernal who apparently built this trail. 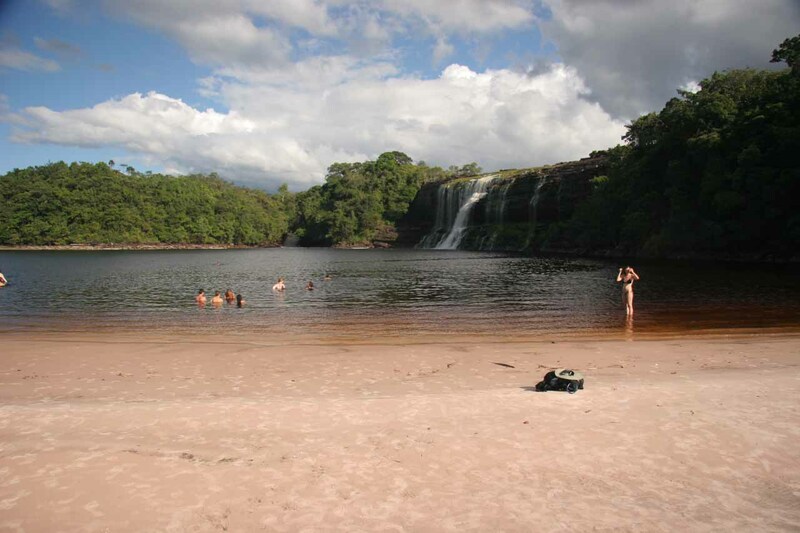 Another interesting bit about this waterfall and its large lagoon was that the water itself had a bit of a reddish color. Little did we know that this was going to be a common feature further along our Angel Falls trip when we saw it on the Churun River deep into the river transport part of that visit. 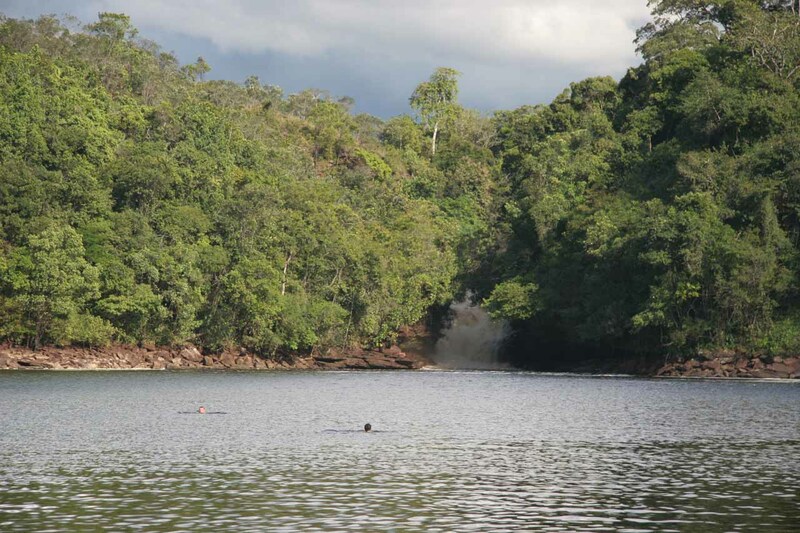 The sandy beach before both waterfalls was also a good place to chill out when we were taking a dip in the lagoon to cool off from the equatorial tropical heat. 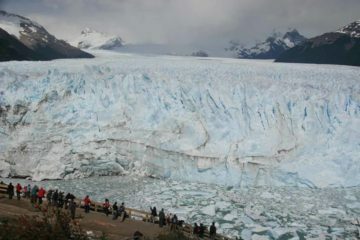 There seemed to be quite a few tour groups that shared this falls with us. 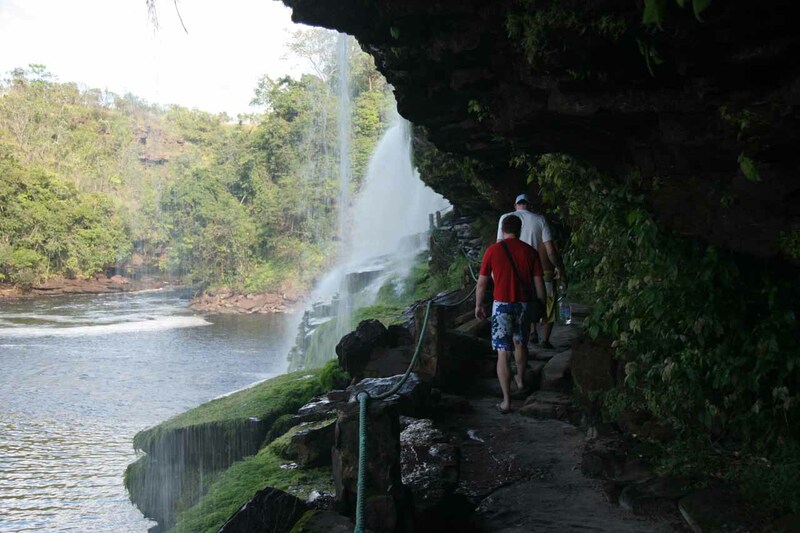 Thus, I have to believe that this waterfall would be a typical part of the itinerary of the Angel Falls experience. 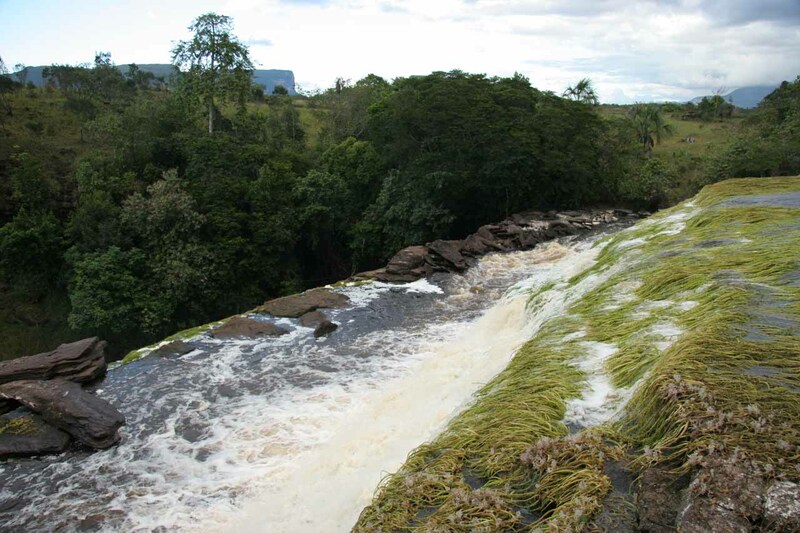 Sapito Falls sat in a lush recessed opening next to Sapo Falls. 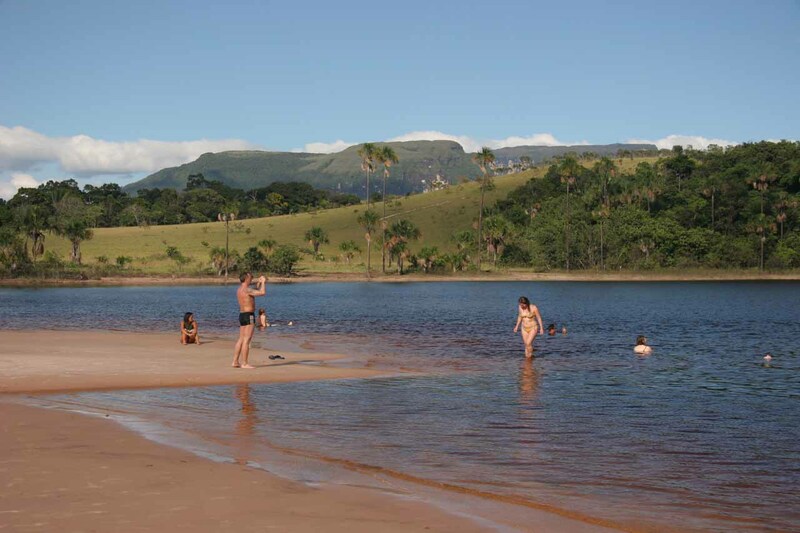 This one was more difficult to photograph from the sandy beach across the Sapo Lagoon where we were swimming and cooling off. 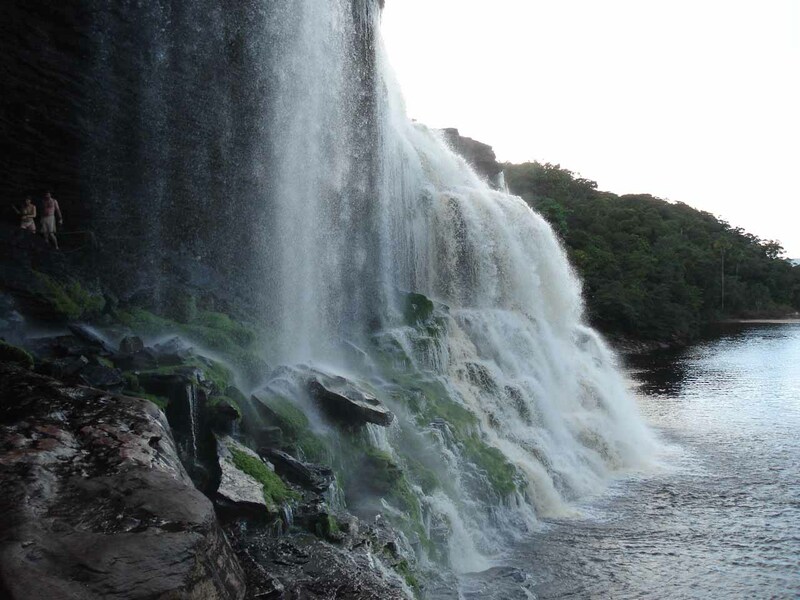 However, the same path that took us across the backside of Salto El Sapo also led us to the wide rim at the top of Salto El Sapito. 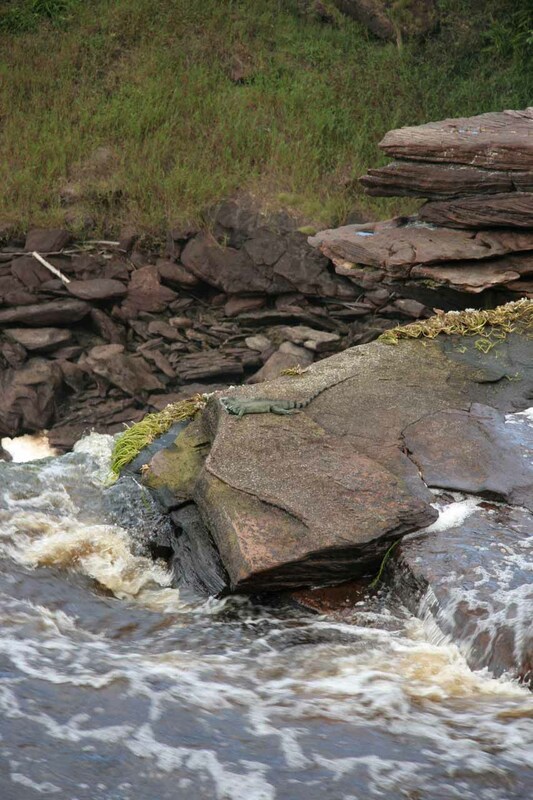 We were even lucky enough to see an iguana resting on a rock on top of the falls. 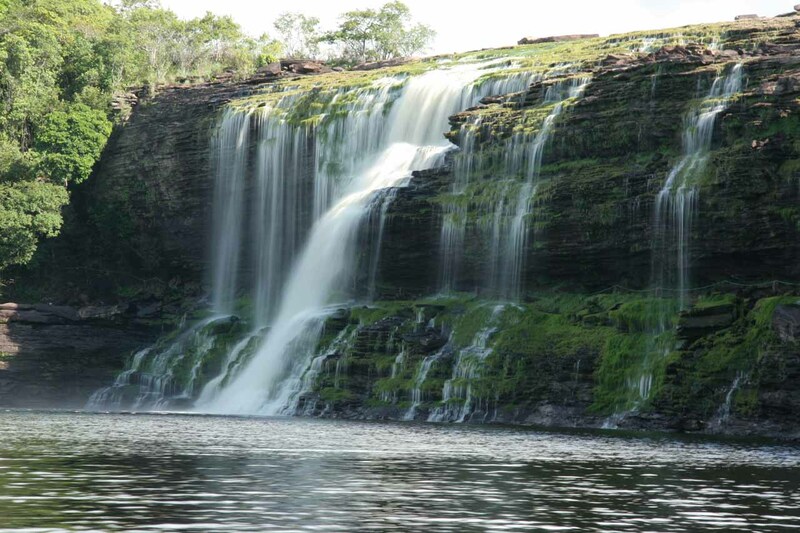 We visited these waterfalls as part of a side tour on the day we arrived at our camp. 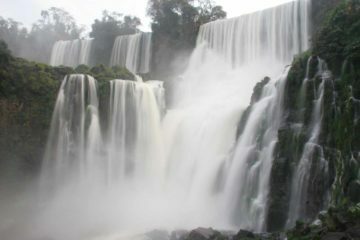 We had an entire day to get oriented and relax, and a tour guide from our camp took us on the hiking tour to these falls. I wasn’t sure if it was scheduled or not. However, when all was said and done, we spent about 2.5 hours to take in both waterfalls, swim, and take plenty of photos. It really didn’t feel like we exerted ourselves much on this tour despite the amount of time this tour took. 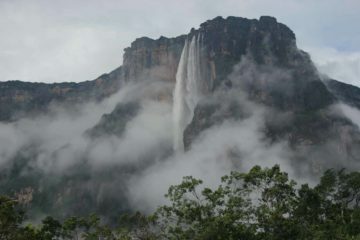 We saw this waterfall automatically as part of our Angel Falls tour. 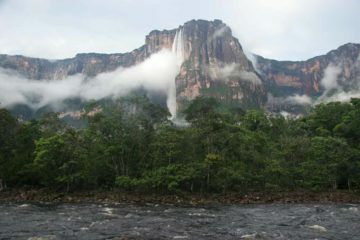 For more information in partaking in the Angel Falls experience (and hence this waterfall), see the Angel Falls page.